A nearly 70-year-old hotel will be demolished to become a Delray Beach oceanfront condo called “Ocean Delray.” The new three-story building will have 19 homes that will be priced in the high-$4 million range. The Wright family sold their oceanfront property, the 29-room Wright by the Sea at 1901 S. Ocean Blvd., to National Realty Investment Advisors and U.S. Construction, Inc. in October for $25 million. It was one of the few remaining small beach-side hotels that still had windows to open to enjoy the sea air, according to the Greater Delray Beach Chamber of Commerce website. It was originally built in 1950 to become the family homestead. The Wright by the Sea is expected to be demolished in early 2019, according to a spokeswoman for Ocean Delray. Completion is expected for the fourth quarter of 2010. 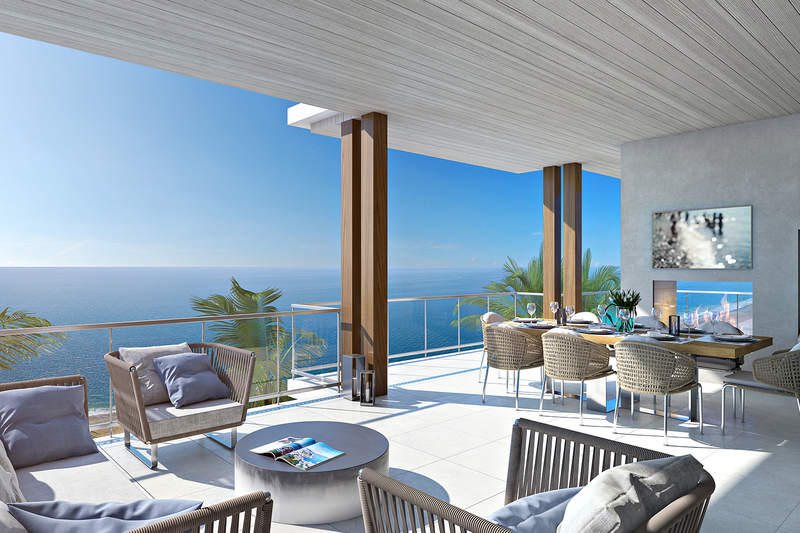 The homes with glass-panel balcony railings will range from 3,300 square feet to more than 4,600 square feet. Each home will have a private, enclosed and air-conditioned garage – with electric car charging units. Private elevators will take residents from their individual garages to to their residences. Ocean Delray’s residents also will have access to private beach lockers and poolside cabanas, according to a spokeswoman for Ocean Delray. (Learn more about Ocean Delray here).